Savannah Fire wants every family to have a fire-free 2018 holiday season. During the 2017 holiday season there were 23 structure fires in Savannah, which resulted in one death, two temporary business closures and more than a dozen people displaced from five residences. That was an 18% decrease from 2016. By practicing simple fire safety steps, we can further reduce the number of holiday structure fires in 2018. 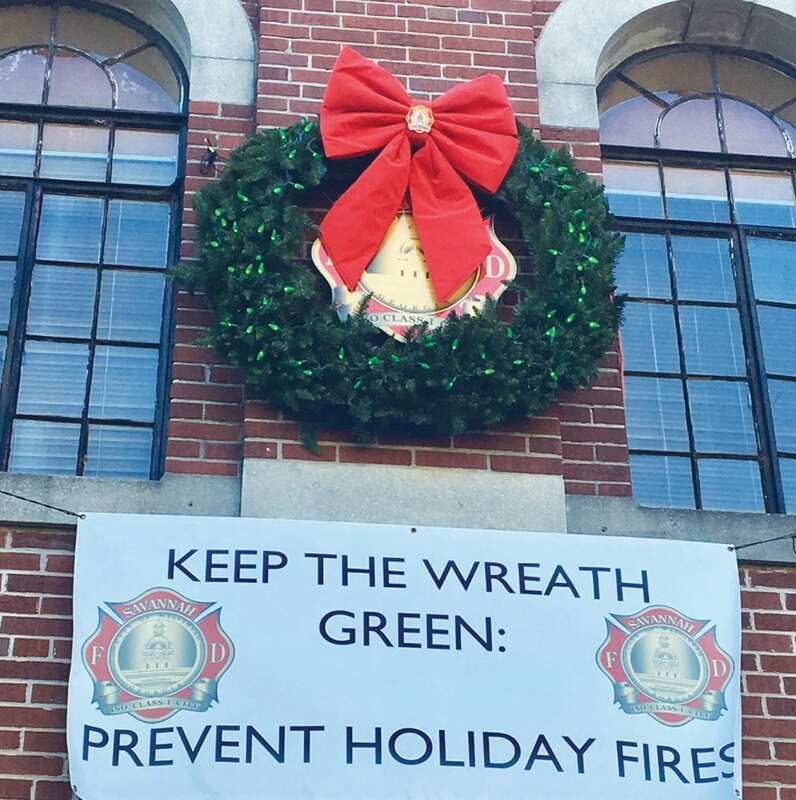 Savannah Fire is releasing fire safety tips throughout the 2018 holiday season and hanging a fire safety wreath outside Savannah Fire headquarters at 121 E. Oglethorpe Ave.
Savannah Fire personnel are available for interviews about holiday fire safety and the Keep the Wreath Green Initiative.